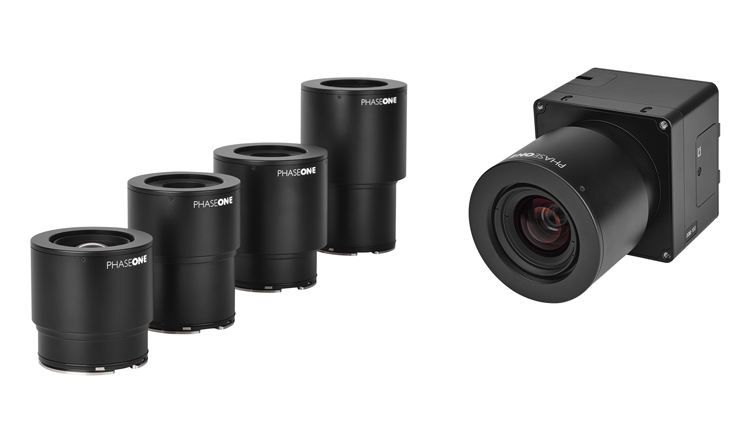 Copenhagen — Phase One Industrial launched the iXM series, an aerial camera platform driven by the world’s fastest medium-format imaging sensor. Engineered for UAV-imaging missions, the iXM 100MP is a high-productivity metric camera with a range of high-resolution lenses. The iXM is ready for integration with a wide range of UAV platforms, including Phase One’s DJI Matrice 600 Pro solution. Phase One also announced four new specially developed RSM lenses – with focal lengths ranging from 35mm to 150mm – to seamlessly fit the new sensor’s 3.76μm pixel size and 33×44 mm frame size, ensuring image sharpness across the entire FOV. The lenses are available with either fixed-focus or motorized-focus functionality. The fixed-focus 35mm and 80mm lenses provide superior image radiometric quality, high ground resolution, and large coverage — perfect for surveying applications. See complete technical specifications at http://industrial.phaseone.com/landing/The_New_iXM_Series.aspx. For more information regarding purchase options and partner locations, contact the company at https://industrial.phaseone.com/Contact.aspx.